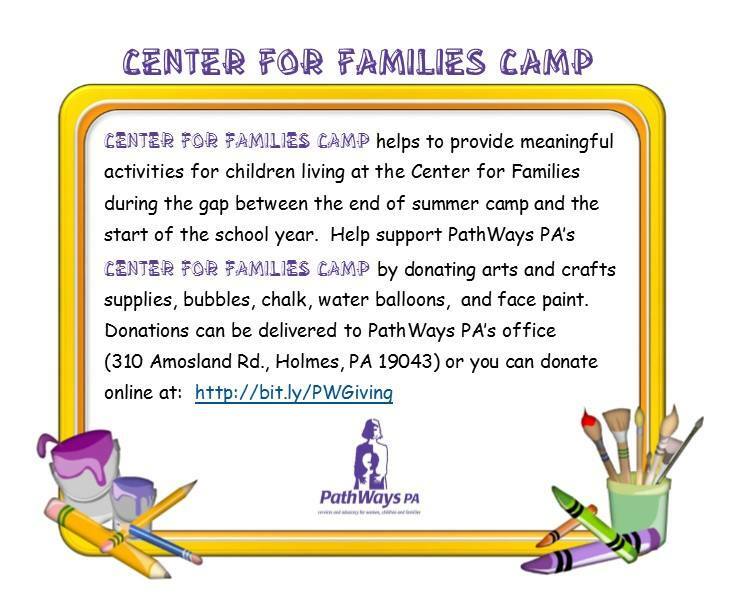 As the summer draws to a close, PathWays PA is trying to get a few more days of summer fun for their children at the Center for Women and Families. CFF Camp runs from August 24 to September 4. There are a few things necessary for these last days before school starts. Jump ropes, chalk, table top tennis, and other engaging objects are needed. In addition, face-paint, bubbles, and water balloons would help the children make the most out of the camp. Candy and arts and crafts supplies would be appreciated as well. The schedule for the kids is jam-packed. 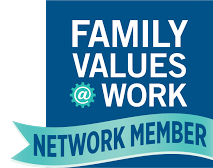 From arts and crafts, to talents shows, to picnics and games, these last few weeks of summer can be unforgettable for these children. 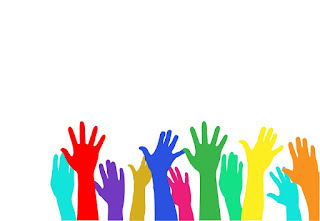 We can't do it without your help! 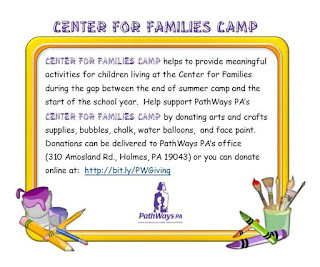 Visit http://bit.ly/PWGiving to donate, or deliver to 310 Amosland Road, Holmes, PA 19043.